Not sure what to get your loved ones this holiday season? It can be so hard to try to figure out what would make that ideal gift. But if you’re stumped, help is right at hand. 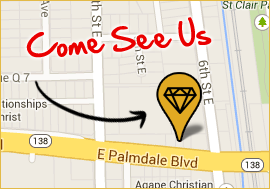 The perfect gift this holiday season for just about everyone on your list is gold and silver from Pawn Big Palmdale . The amazing thing about gold and silver is that they always have value. No matter what happens with the economy here in the US and abroad, gold and silver will always be in demand. So if you’d like to give your grandkids, parents, or anyone else a gift that will always be appreciated, go with gold and silver from Pawn Big Palmdale . Why get gold and silver from Pawn Big Palmdale ? It’s no secret that there are plenty of places that sell gold and silver. It can be tricky trying to figure out which place has the best prices and most reputable reputation. Pawn Big Palmdale has been a fixture of the Palmdale community for over 12 years, and plenty of people have come here to purchase fine gold and silver. Lots of people come every holiday season to purchase gold and silver for themselves or to give as gifts. As soon as you walk into Pawn Big Palmdale , you’ll be greeted with courtesy. Our helpful staff will help you select high quality gold and silver items to wow your gift recipients this holiday season. Gold and silver always make an excellent investment. Making tax-free gifts of gold and silver to your loved ones each year is a simple, easy way to set them up with a valuable investment and transfer wealth between generations without incurring estate taxes. One of the most frequently asked questions we receive from people buying gold and silver is, should I buy coins or bars? Plenty of people are surprised to find that gold and silver coins cost more than bars of the same weight. For a balanced investment, we recommend buying both bars and coins. Bar provide the best price per ounce right now, but coins provide the potential for a higher return on investment because of their collectible value. 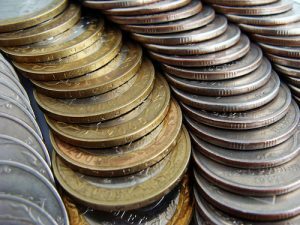 Coins are produced on a limited basis, so collectors will pay more for scarce coins over time. We’re here to answer all your questions about purchasing gold and silver this holiday season. Our goal is to make sure you’re absolutely satisfied with your purchases. Your gift recipients will be thrilled!